If you’re the one who always prefer reading a book to get into the depth of any topic, then I complete get it. 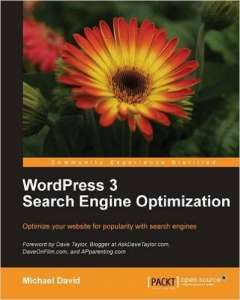 Even at the need of starting with WordPress, you are looking for a book. Well, thanks to the advancement in technology, we have two different forms of books, eBooks and, of course, the native ones. I’m going to share here the 6 super books on learning WordPress, which I compiled here, in no particular order. You can start with any of them, and from day one, you’ll be beginning your very short WordPress learning course. The course is short because WordPress is simple to learn and easy to understand, compared to other Content Management Systems like Drupal, etc. Finally, let’s start with the compilation. Following are the books you can rely on, and start with any of them. This is the book for everyone. You don\’t need to be a technical geek or a complete expert to understand. The language is easy to understand and the examples included are well illustrated. The book has been available since years and improving every year. The recent version covers the recent version of WordPress, which clearly means, that you’ll have the updated knowledge. 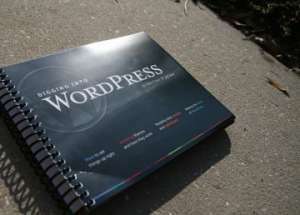 It explains both the WordPress platforms, the self-hosted and the free hosted blogs. It kindly explains plugins, themes, and a bit of SEO as well. In short, this book is for those who are looking to complete their basics first, rather than indulging into the pro level. For the record, this book isn’t for the pro level, at all. As the name suggests, this is the book you should be reading to understand how to create an SEO proof blog or website using WordPress CMS. It teaches common and pro level SEO practices along with teaching things you need to avoid doing at every cost. It also offers a lot of methods to create quality backlinks for a new or existing website to improve the SERP rankings. Apart from covering the of page and on-page SEO terms and practices, it also explains a mechanism which can be used to create multiple blogs, rank them, and manage them all together, to earn more and more money online. The SEO knowledge it holds is of the industrial standard. 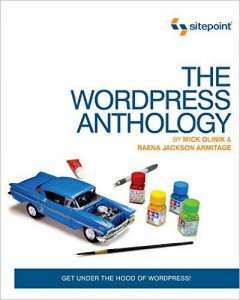 The book’s focus starts with Theme building, including the concept of Child theme and related development work, followed by Loop control content, social web integration, SEO projects, plugin and widget development, and finally the basics to run a fully functional WordPress-powered blog or website. The language used is pretty understandable, but this book isn’t for the newbies. You need to spend a considerable amount of time with the CMS, before turning pages of this book. Once you’ve basic knowledge, then this will definitely turn out as one of the best knowledge sources. It not just offers the same information, but delivers it in an innovating style. 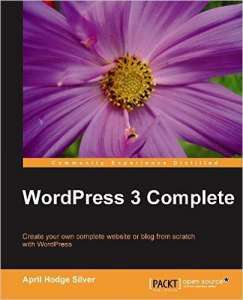 If you’re looking for a book which explains how to start a blog from scratch, build it, set it up correctly, and have it tons of organic traffic using SEO norms, then WordPress 3 Complete should be your choice. It not only focuses on teaching WordPress, but also the basics of how content marketing works, and how you can write quality content. Other than covering those primary sections, it also focuses on teaching users to create custom post types, manage visitors, using analytical data, and personalise the website in the best possible way. This is one of my favourite books as it explains things with real life examples, and covers every bits and byte of WordPress Content Management System. Any newbie can start with this book, and once he/she has read and practiced all the terms explained inside, he/she won’t be a newbie anymore. The way writer has explained terms is fascinating, which always help the reader to maintain the interest till the end. One way or another, you need to know the history of WordPress, what it is, how to use it correctly, how to do a neat installation, how to do a neat and fully functional setup, and how to take care of rest of the things like Theme, Plugin, Widget, Menus, Users, etc. Well, you’re in luck as this book explains every basic thing you can think of within the domain of WordPress, and that too in an easy and quickly understandable language. 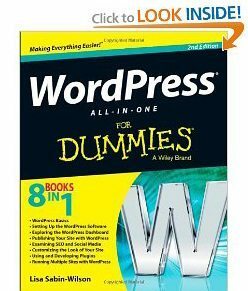 As the name suggests, if you’ve been looking for a simple book covering every how to title based on WordPress, then you should take this book home. It covers almost every basic thing, along with out of the box terms and methods to make use of WordPress completely and in the best possible way. So, these are the best books on WordPress, and I guess, you found this compilation helpful. Don\’t forget to share it with the rest of your fellow bloggers, who are still struggling to make their first money online. If you need help on any related subject, then explain your side in the discussion section and we’ll come up with a solution ASAP. Also, keep on visiting the blog to get WordPress tutorials day to day. Peace.